· Approved renewal of existing synod council call to Pr. Kristen Van Stee. · Extended synod council call to Pr. Anna Speiser to serve a hospice & hospital chaplain, Providence Medical Center, Wayne, NE. · Acknowledged transfer to the retired roster for Pr. Chris Farmer, Deacon Carl Rick Strong, Pr. Russell McDowell. · Approved appointments of Julie Schmidt, PMA and Pr. Tim Stadem to terms on the PMA Steering Committee. · Acknowledged the removal of Jennifer Wallwey from the Word and Service roster. · Acknowledged the churchwide call issued to Pr. Inba Inbarasa through the Bureau for Federal Chaplaincy Ministries. · Approved some congregation constitutions and bylaws. · Approved Lutheran Family Services of Nebraska Board of Director appointees Greg Schilling. · Approved appointments of NLOM Board of Directors appointees Carolyn Blobaum, Tom Birner, Michael Peck, Kris Bohac, Dale Fornander Sarah Willson. · Approved revised Synod Assembly agenda. · Approved designation of some Lutheran Metro Ministries designated funds to support an urban ministry outreach effort in Omaha. Amount to be determined. 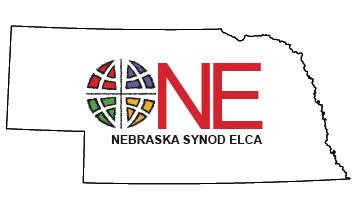 · Designated net proceeds of sale of St.James Lutheran Church of Edgar, NE to the Transformational Ministry Fund. · Elected Synod committee members. · Expressed gratitude to synod council members whose terms ended with this meeting.